I’m travelling in Europe for a few months and thought y’all might like a short snapshot of my fragrance shopping in Berlin. Holy WOW. Terminal 5 at Heathrow is stunning. Duty Free had a fantastic fragrance collection including Miller Harris, By Killian, Memo, Amouage, Dolce & Gabbana Velvet Collection, Guerlain Pera Grantia, Rosa Pop and L’Homme Ideal EDP, amongst others. The staff were super-friendly & very knowledgable. Berlin: I stayed at the Grand Hyatt, Berlin Mitte. All my fragrance shopping was within walking distance of the hotel. Tourist Tip: check opening times, many places are closed on Sunday. I had only recently heard of Berlin’s Frau Tonis Parfum so I was excited to visit their one and only store. The display made it easy to try every fragrance so I worked my way around sniffing stoppers & making notes. My poor nose was absolutely tortured from 23 hours of aircraft travel so I was totally surprised to find it still worked! Joy!! Kristiane and Clarice were wonderful & helped me with my many questions, like what does the number mean? It’s simply a catalogue system as it’s easier to remember numbers than names. Frau Tonis have very sensible bottle sizes – 8ml travel spray, 15ml, 50ml and 100ml. They also take custom blend orders, so you can mix & match and make your own bespoke combination. And yes they ship to Australia. I chose three 8ml fragrances: 10 Linde Berlin (lime and honey), 14 Grasse à Toi (Jasmine, ylang-ylang, lilly of the valley, iris, peach, red berries, vanilla) and 37 Veilchen (which may also be called 37 Violet) which has violet, liquorice and raspberry. Tourist tip: the store is near Checkpoint Charlie and Topographie des Terrors, a display & section of the Berlin Wall. This department store has an atmosphere of a ‘pop-up’ shop for fashion & makeup. I went to Galleries Lafayete to fine the Berlin-based Schwartzlose. Yea, interesting. Rausch probably got my attention the most because of the animalistic notes, it was damn dirty & fun. Altruist is their newest which has a cologne freshness with May rose, lemon and pepper. Testing was rushed in a crowded area, I didn’t buy anything. Tourist tip: save yourself time by asking an SA to take you to this display. The store layout is frustratingly circular with a space in the middle. Krigler currently has stores in Berlin, Beverly Hills & New York. The store in the Hotel Adlon Kempinski has the full range of fragrances and make candles on-site. Their first fragrance was crafted in 1879 – 79 Pleasure Gardenia. 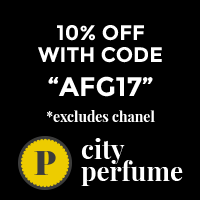 The fragrance numbering relates to the year it was made, that one is the only ’18’ prefix. If a second or third is made, a 2 or 3 added to the number. The 2000 series drops the second zero, ie: 214 = 2014, 2142 = the second fragrance made that year. What do they smell like, I hear you ask?? But I haven’t yet told you about the long history, the famous people who wore Krigler, or the quality of the ingredients. Or the extravagant prices. £16 for a 2ml sample…. Painful. Yes they ship to Australia. Established Cognac 66 was the stand out for me. A thick caramel with rich cognac cut through by a sharp juicy apple note, taking the edge off the heaviness. Apparently it used to have 80% cognac but the current formulation is 50% – still quite potent. I also picked up samples of Oud for Highness 75, Schöne Linden 05 and Extraordinaire Camelia 209. Tourist tip: these guys are right near the Brandenburg Gate. OK this Fragrances cocktail bar was the primary reason I wanted to go to Berlin! And it totally blew me away. I’ll dedicate a separate article to my evening here because the Bar Manager, Arnd Heissen totally took me under his wing and showed me around both Fragrances, and its sister bar The Curtain Club. The bar staff were absolute fragrance & mixology experts, I had a fabulous time, so much fun! The cocktails are created to emulate a fragrance profile. I think there are about 30 on the menu. You walk in to a display which has a bottle of the actual fragrance, the ingredients, and a photo of the cocktail glass. I chose two cocktails, Serge Lutens Fille en Aiguilles and Bulgari Au Thè Bleu. Both were beautifully done and wonderfully presented. I was curious to see how they managed the incense in Fille en Aiguilles – this was created by using a particular smokey tea. Fab result. Ok I’m sure I’m over my word count (sorry Portia!) so I’ll leave my fragrant Berlin travels stories for now. It is an amazing city any my short 2 days there wasn’t enough. Have you visited any of these places? Or do you have more recommendations for my next Berlin adventure? You are a whirlwind. Love following your adventures, they look so fun and you’re really getting to meet the locals. Cool. Hey Portia, I’m having so much fun! It is great to be able to share it. Missing you heaps. Great post, TinaG! I’ve never been to Berlin, so getting a peek into your adventures is inspiring me. Thanks! Oh Tina, I loved this! Never been to Berlin so it was great to get your fragrant take. I didn’t realise the Fragrance Cocktail Bar based the drinks on actual perfumes. I’d be intrigued to try Fille en Aiguilles. Uber cool. I love how you’re buying fragrances local to the country. What great scented reminders they will be when you get back home. Totally fabulous, Val. I’m one lucky girl. Tina G, you’re my hero! It’s such a fantastic overview of perfume shopping in Berlin. I visited the city some 8 years ago and I wasn’t so hooked up on perfume then so I didn’t visit any of the places you mention but I loved Berlin through and through. The “Fragrances” cocktail bar sounds fantastic! Which cities do you intend to visit during your trip? Berlin is an amazing city, definitely. I was sad to have such a short time there but I’ve got a lot of ground to cover with my travels. 🙂 I have been to Salzburg, Heidelberg, I’m currently in Amsterdam, going to Paris & London. Mainly to see family but also doing touristy things. That cocktail bar sounds amazingly fun. I would love to go to a place like that. Poodle it was seriously amazing. I’ll write up that visit in a separate post, I was so spoilt!! But I could have written more on each of the above, for example, Some of Krigler’s fragrances are matured for up to 3 years, fascinating stuff. Fabulous post – those cocktails look incredible. KaDeWe has a good perfume department – a bit like Fortnum & Mason in London – though it is a way away from your hotel, and although I never found it, I was told Quartier 206 did as well, which is supposedly near Galeries Lafayette. Did you meet the lovely Alain in Sahling Best of Beauty, which is sort of embedded in that store? I have never been to Krigler or Frau Tonis so they can go on the list, not that I will need any persuasion to go back to Berlin, one of my favourite cities in the world. PS Oh, am in awe at your nose’s stamina after all that flying! Love the picture post of your fab and decadent travel. So jealous. Vanessa already mentioned KaDeWe and I recall going to a place that had Puredistance but I can’t recall the name (sorry). Have lots of fun and looking forward to your next update.